This page is just place for me to get excited about the things I love. I have been told that I have too many interests and that some of those are pretty weird, but I don't care. You can't choose what you love; you just love it! Drawing props are one of my favourite things to look for when I am out taking walks or going on special expeditions of exploration. My biggest influence for anything is nature and I get very excited by seeing any new creatures that I haven't seen before or if I get to touch an animal that is a bit special. I think I must have one of those urges towards the textural. So if I get the chance to pat a zebra (which I have!) I can't turn it down. Unfortunately I can be a little intrusive to animals that just want to mind their own business. I have been known to pat the odd echidna or bird if it gets too close. For some unknown reason animals are just as amazing to me in death as they are in life. That is why I started collecting skulls and other interesting bones. I find bones to be very beautiful and sleek; natures perfect foundations for its marvellous creatures, the organic machinery that gives them shape and movement. Skull of a shy albatross. I've had to use super glue and some small rubber bands to reattach the beak sheath after maceration. Of course I am an avid reader! I don't read nearly as often as I would like, but I try to read as much as I can. The books that I read are usually science fiction or fantasy but I love a good suspense or thriller. And... I love comics! The authors that write these kinds of graphic books write stories that are just as good as any of the greatest novels! Some of my favourites are still going while others are amongst the classics. My favourite comic author right now is the venerable Grant Morrison, I just can't get enough of his stories. His comic writing is one of the reasons that I am writing stories of my own. I have been very busy, as I have mentioned on my writing page, but not everything I do is about writing. Recently, my wife and I bought our first home. Yay! It was some I had been wanting to do for a long time and I'm sure my wife was more than happy for us to find a place with more space for my piles of collections and other weird stuff. This new house thankfully has a studio for me to set up my easels, a workspace for me to mount insects and a really big shed for me to work on brewing my own beer and building war games terrain and storing fishing gear. 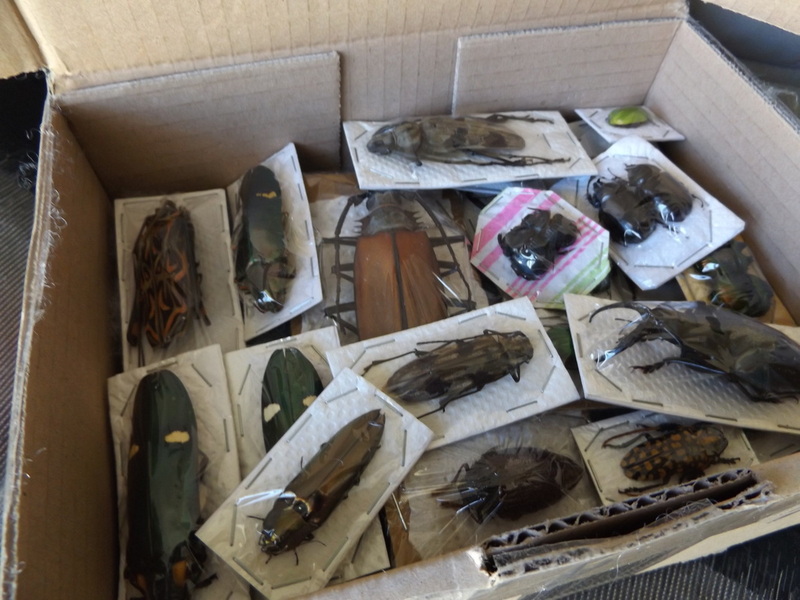 Over this Australian Summer, I have collected a whole range of wonderful insects. My locally sourced species are ranging in variety more than ever before and I am hoping that there will be some more finds as the year goes on. Well, its exhausting being a learning machine. I have been reading as many books as I can! I want to be able to write a list at the end of the year and say 'Hmm...not a bad year bookwise...'. So I have just finished a big book full of stories by Lovecraft and Andy Weir's The Martian, which was awesome and now I am getting into a highly recommended book by Cormac McCarthy called Blood Meridian. There just isn't enough time in a day to read everything! 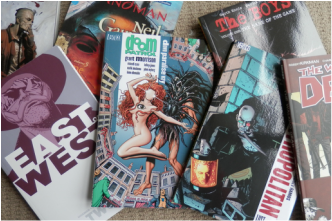 With comics, I have been powering through Sweet Tooth by Jeff Lemire and Justice League Dark as well as a few others in between; Suicide Squad, Trillium, Constantine, Runaways, Locke and Key and a few others. I have also managed to buy some really cool arachnids from Indonesia as well. A group of different sized Amblypygi and some Thelyphonida. Two families of arachnid that you'd think would be found in Australia, seeing they live in so many countries close by, but... Oh well. They look great. 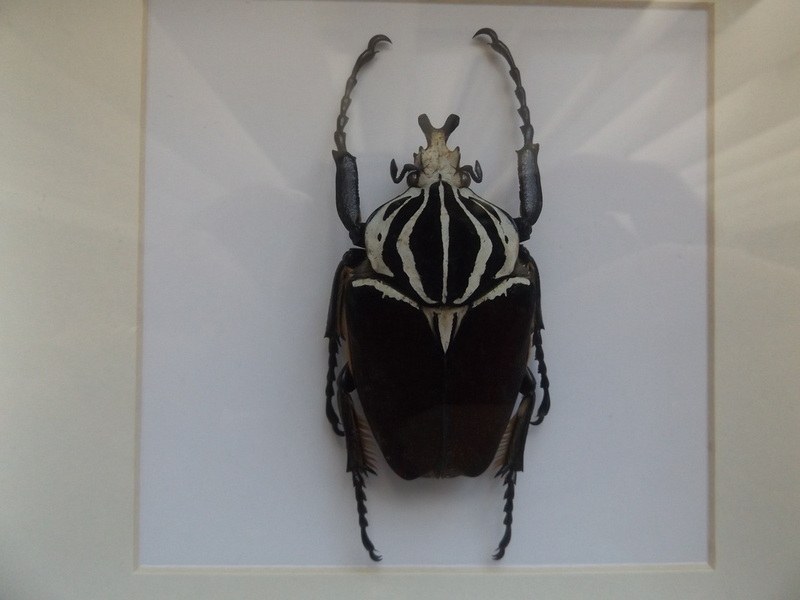 In my last post I was talking about the beetles I'd been framing and the process of relaxing and setting specimens before framing. This time I thought I'd give you a peak at some of the frames I'd put together. This is a nice selection of my bought specimens. I originally wanted to arrange them in geometric patterns and be really artistic with their presentation, but the scientist in me wanted them in their male and female pairs. This is how they arrive when I buy them. This is the new lot I have ready to be framed. This is a selection of the biggest specimens in my collection to date. 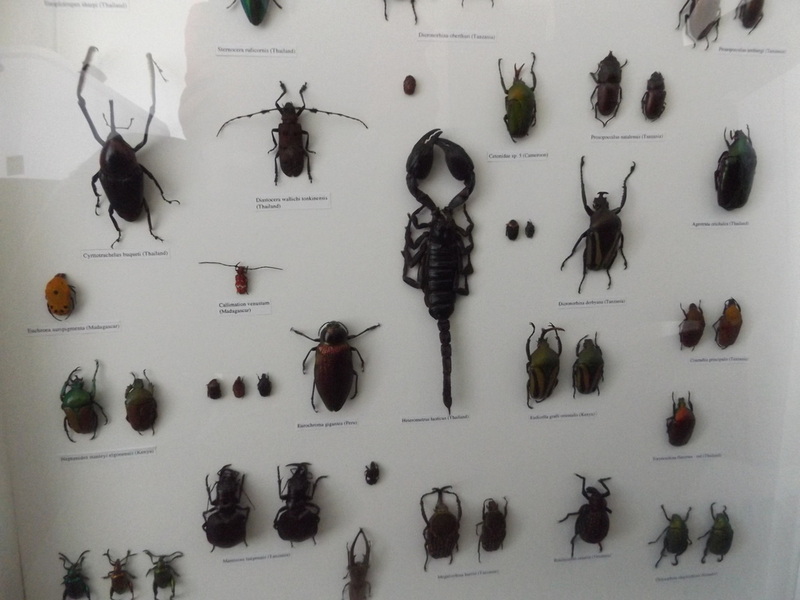 The atlas beetle in the centre is the size of my outstretched hand. that might give you some sense of scale. I will fit a few more in here as long as they aren't too big and make it look crowded. This is the first frame of my collected specimens. I have been collecting these on and off since I was about seven years old. 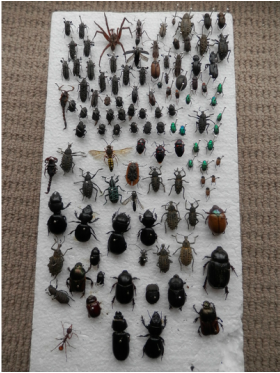 Some of these very beetles were found by me at primary school and they are still in good condition. This my proud specimen of a goliath beetle. The heaviest species of beetle on the planet (so far). This guy is only 85mm but he's still pretty hefty. I decided to keep an constant blog of what I have been doing with my time besides writing. Firstly I have developed a potentially unhealthy obsession with boardgames. I have always been a big fan of war-games and painting armies of fantasy and sic-fi miniatures, but I have re-kindled my passion. I have been getting together with some colleges and my brother to 'road test' a range of new and highly rated games and I have been having a ball. Mansions of Madness (based on H P Lovecraft books) is a favourite for me so far along with the hectic Dead of Winter. A fun and easy one that I have been getting a bit obsessed with is Zombicide, which has so many models which I have painted and so many hilarious scenarios. And I must make a special note of Takenoko and Ticket to Ride. So cleverly put together yet so simple. Besides games I have been trying to plough through a few books including Rivers of London by Ben Aaronovitch which was amazing and Kafka on the Shore by Muramaki. Of course I have and endless archive of comics and graphic novels that I am working my way through. So far I am very impressed with Scott Snyder's Batman and the Justice League Dark series. 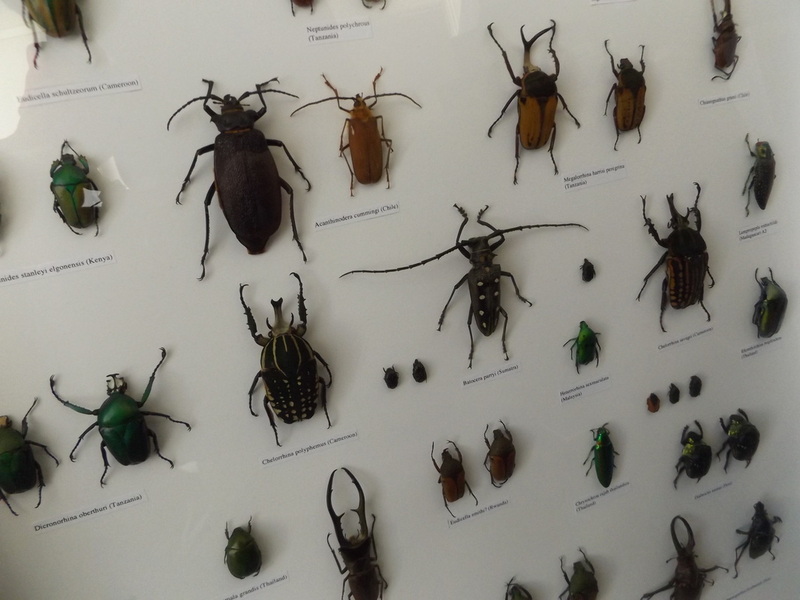 Insect collecting is a hobby that is very close to my heart and has eaten lot of my money since I discovered an Australian website to purchase exotic specimens. I have been blown away by how many different kinds are available and I've tried to get the best (and most affordable) for my own collection. The other side of this is that I have been learning about the process of setting and framing them. I'll explain it roughly so you have some idea. The specimens and are a bit tight when they arrive. their legs are tucked in and crossed over and this doesn't do them justice, presentation wise. This means that their bodies need to be relaxed first, so that you can re-pose the limbs and antenna. You do this by laying some paper towel in a shallow container and spraying it lightly with water. Then you add the beetles, on their backs and spay them lightly with the water too. You make another layer of the paper towel then do the water spray a last time. NOT MUCH WATER! Then the lid is placed and the container is put aside for about two or three days, this is should be enough time for the beetles to loosen up. When the bodies are relaxed the need to be positioned and arranged on a foam board of polystyrene with pins keeping them in the desired pose. Then they need to dry. All I need to do then is make a white backing board of foam core. I space out the specimens in the positions I want them in and apply a very small amount of PVA glue to their undersides (only the parts that touch the back board), then I glue a printed name tag beneath.